This morning I was rereading some of my favorite book, Light in the Wilderness by M. Catherine Thomas. Chapter ten is about being transformed and born again, swallowed up in Christ. For some, like Alma the Younger, this transformation happens in a dramatic and instantaneous way. For most of us, however, “we are born again by degrees,” as Elder Bruce R. McConkie has said (p. 217). The latter has definitely been true for me. Looking back, I can recognize pivotal times of transition throughout my life when I moved from a lower to a higher plane… when I was baptized, the first time I felt God’s love wash away my heartache as a teenager, starting college, receiving my endowment, giving birth to each of my children, starting my blog, moving to Arizona, writing The Gift of Giving Life, grieving my grandmother’s death, learning to meditate, surviving this year. Sometimes the process was relatively painless, but other times it was steep and intense. The end result was always the same, however. Joy. Every time we are born again, our capacity for joy is heightened. What is the darkness in which these spirits dwell? It appears that it is a complete absence of the light, guidance, truth, and inspiration of Christ.(p. 160). I was grateful to be reminded by Truman G. Madsen recently that Christ has personally seen and felt that horrifically dark place. “He was ‘in all points tempted like as we are’ (Paul), with ‘temptations of every kind’ (Alma). How low then can we go in our thoughts? Not as low as he in the contemplation of evil. He was tempted through ‘the darkest abyss’ and ‘descended below all things'” (Christ and the Inner Life, p. 35). It was quite an epiphany to realize that if I had been tempted to end my own life, Christ himself was also tempted to do so. 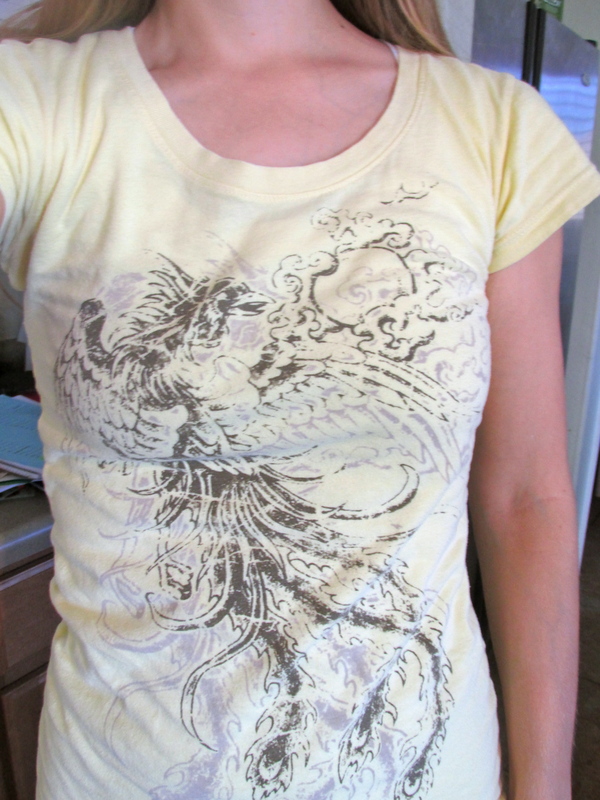 So having spent six months inhabiting a body that no longer felt the Spirit in the ways I was used to, seeing a dark and hellish abyss, sitting through Sacrament meetings devoid of any “warm fuzzies” or “burning in the bosoms,” you can imagine my surprise and delight when I felt something last Sunday in Sacrament meeting. And I didn’t just feel a little something, my entire body was on fire. And I cried and cried and cried. And I felt the Spirit burning away months of ache, jump-starting my spiritual instruments, blazing them to life again. And I cried and cried and cried. Bliss. That. That is what bliss feels like. And I think it’s fair to say that I have now had a small taste of what heaven feels like. This is that place where the conversion and the rebirth of the soul are happening. This is the place where the prophets were before they were called to serve. . . . This is the place where sanctifications and rededications and renewal of covenants are happening. 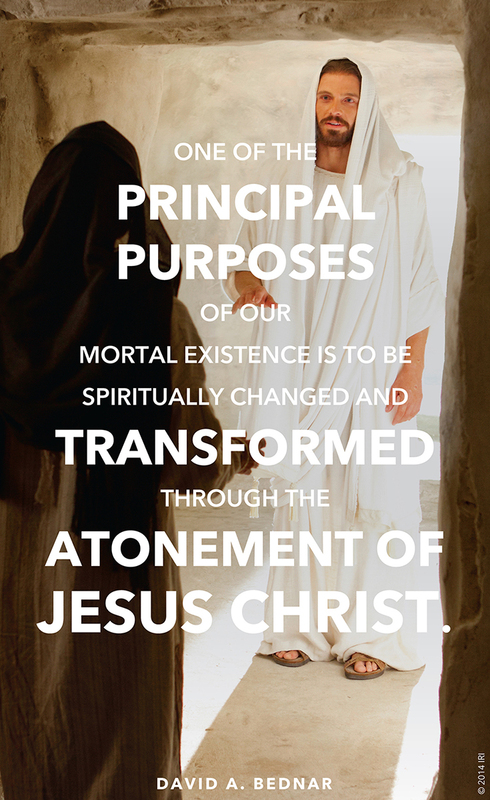 This is the place where suddenly the atonement of Christ is understood and embraced. This is the place where suddenly, when commitments have solemnly been established, the soul begins to “sing the song of redeeming love” and indestructible faith in Christ is born (Alma 5:26). This is the place where we suddenly see the heavens open as we feel the full impact of the love of our Heavenly Father, which fills us with indescribable joy. With this fulfillment of love in our hearts, we will never be happy anymore just by being ourselves or living our own lives. We will not be satisfied until we have surrendered our lives into the arms of the loving Christ, and until He has become the doer of all our deeds and He has become the speaker of all our words. I clap my hands for joy and exclaim with King Benjamin’s people: “This is the desire of my heart!” I want to be changed from this carnal and fallen state, become a new creature in Christ, a branch on His vine, the hands and voice that do and speak His will in every circumstance. My brother reminded me (when I was feeling hopeless) a couple of weeks ago that it’s my choice, that I can achieve the future I yearn for simply by choosing it every day. I choose to believe that I will get there someday. What profound insights and GLORIOUS gifts! Thank you so much for sharing, Lani! I’m so grateful. Those quotes are great. I think you are great! Keep rising!